It's my birthday today, and to celebrate I am giving YOU a special gift! 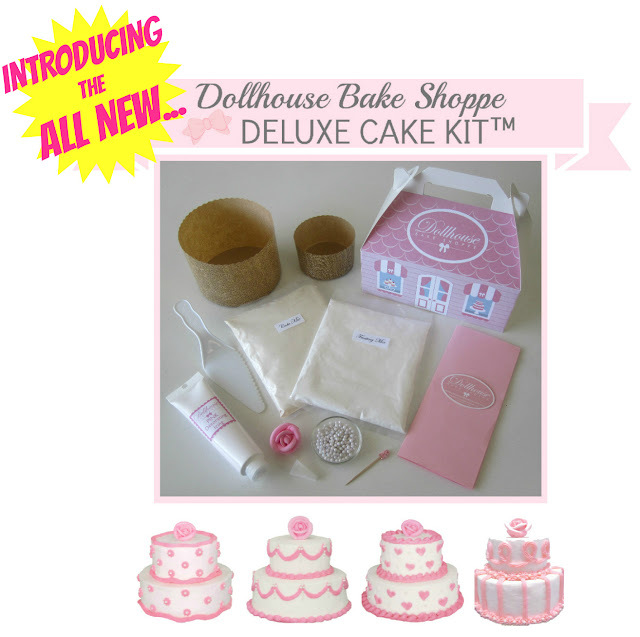 Two of my readers will have the opportunity to win my ALL NEW DOLLHOUSE BAKE SHOPPE DELUXE CAKE KIT™!!! 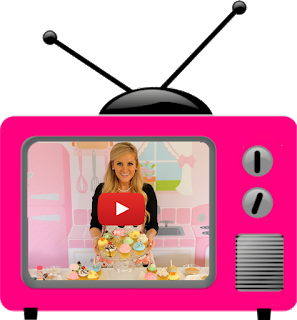 Want to win a bake & decorate kit of your own?! Scroll down and fill out the form below for multiple chances to win! That's a $17.95 VALUE for everything you need to bake, frost, design & decorate a beautiful, 2-tier bakery style cake, right in your own kitchen! Perfect gift for all ages. Winner(s) will be chosen via random.org once the giveaway is over and announced on our blog in addition to being notified via the email. Winner will have 48 hours to respond and claim their prize before another winner is selected. 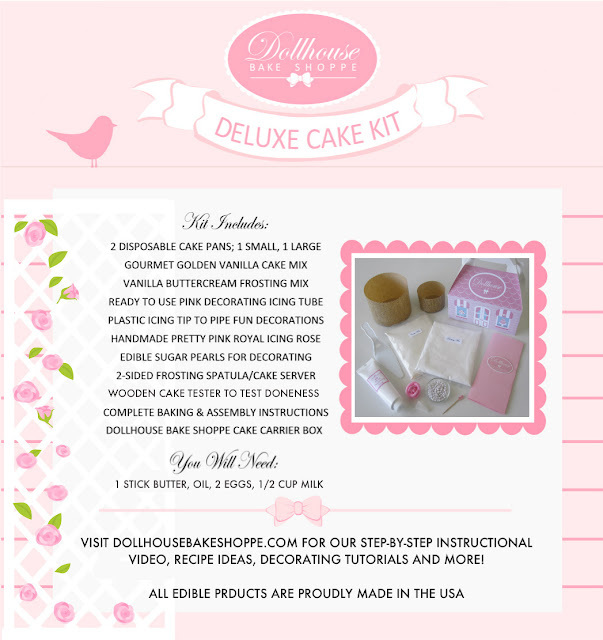 Turn your kitchen into a gourmet bakery with the Dollhouse Bake Shoppe Deluxe Cake Kit™, brought to you by the Food Network's Cupcake Wars Series Premiere WINNER. All-natural gourmet cake and frosting mixes: The convenience and ease of a boxed mix but made using only the finest ingredients and no added preservatives. All edible products are proudly made in the USA: Icing tube, decorations and our custom-blend mixes are made right here in the USA by our trusted manufacturers. Bake right in your toaster oven: Our unique mini disposable pans create beautiful tiered cakes in no time and fit in most counter top toaster ovens! Adult supervision required. Anyone can decorate like a pro: Have fun designing and decorating your cake like a professional with the fancy edible pearls, pre-made icing rose and easy-to-use icing tube, complete with decorating tip. Complete from start to finish: Your finished cake fits perfectly in the included Dollhouse Bake Shoppe carrying box with handle, perfect for gift-giving or transporting. 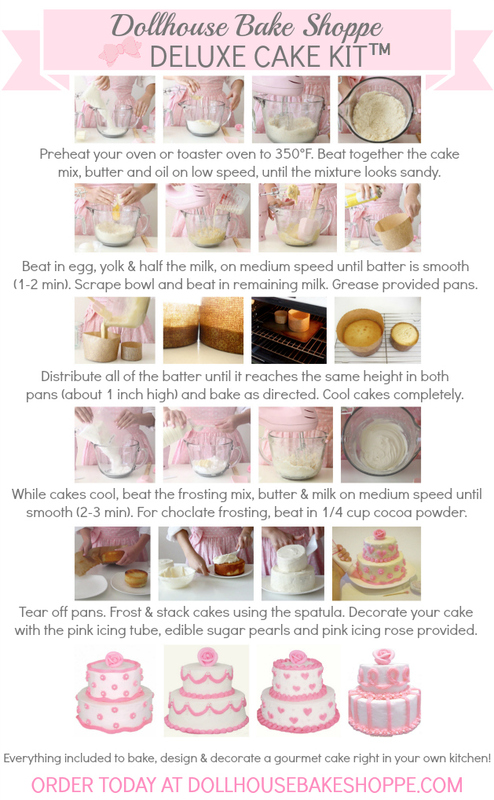 Use the included 2-sided spatula to frost, cut and serve your cake with ease. Makes a great gift (2 ways): Give the kit as a fun gift for any age, or create the cake yourself and bring it to a festive gathering and impress everyone! Perfect for birthdays, baby showers, bridal/wedding showers, sleepovers/play dates, tea-parties, special occasions or just because! 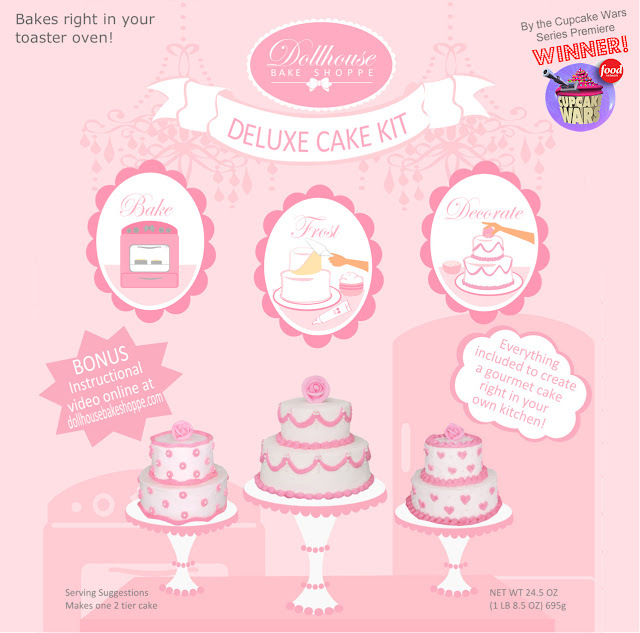 Jazz up your cake kit with these simple and fun variations! Batter: Add sprinkles to your batter for a festive confetti cake! Frosting: For a chocolate frosting (my personal favorite! ), beat in 1/4 cup unsweetened cocoa powder and an extra tablespoon of milk, if needed, to your vanilla buttercream frosting. For a cream cheese frosting, substitute the milk in your vanilla buttercream frosting for 4oz. (1/2 block) of room temperature cream cheese. Substitution: Substitute a non-dairy milk, like almond milk or soy milk, for the milk called for in the recipes if desired. Use half & half or cream in place of the milk for an ultra rich cake and extra fluffy frosting.